Here's how I color correct dark circles & redness with drugstore/affordable products. 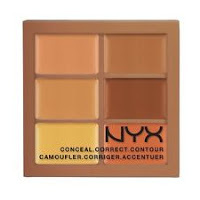 I used NYX color correcting palette and NYX concealer palette deep. I decided to test it out and apply correctors on one side to see if if it actually makes a difference. I'm going to try different products and/or try it out on a friend and film it. Dark Circles: I used the shade orange and it works best for tan to deep skin tones. For shade reference, I'm NC40-NC42. If you have fair skin, then definitely stick with something that's peach or pink (if you have very fair skin). If you are South Asian (Indian/Pakistani) like me then orange should do the trick. 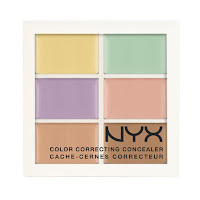 Redness: You can use a green corrector but if you have mild redness that doesn't get covered by foundation, then try yellow. That can also be used to correct it.